Situated near College Park, this ranch home has a large addition. Formal Living Room and Dining Room. 5 year old Kitchen opens to a nice breakfast room with a breakfast bar. Family room has a brick surrounded free standing wood burning stove. There is a large 20 x 10 room that is currently two offices but could be an extra Family Room, playroom or Den. Three Bedrooms and two full baths. There are laminate floors throughout (some bamboo). A nice sized inside Laundry/Storage Room. Front picket fenced yard. Lots of closets and storage. Rear yard is fenced and has a large work shed. 9 year old roof. Nestled between College Park and Winter Park. Close to shops and restaurants. Lot Size: 0.21 Acres / 8938 Sq. Ft.
SchoolsClick map icons below to view information for schools near 706 Carew Avenue Orlando, FL 32804. MFRMLS data last updated at April 19, 2019 11:57:01 AM PST. Home for sale at 706 Carew Avenue Orlando, FL 32804. 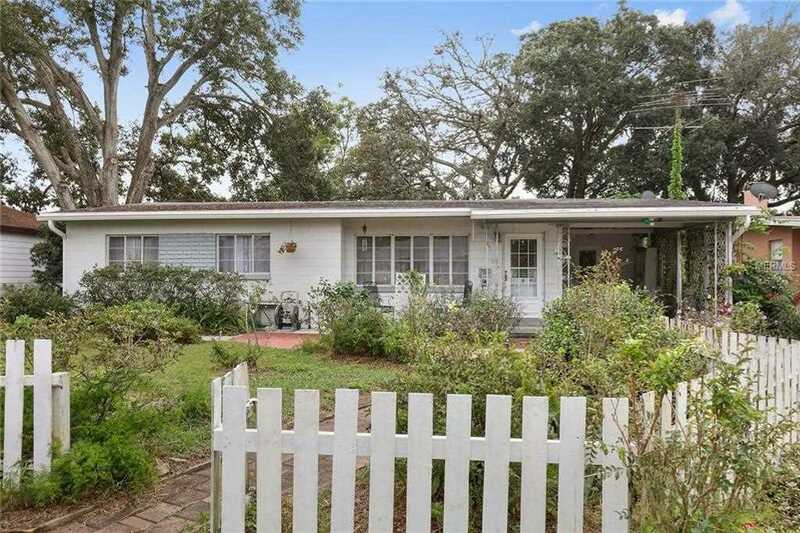 Description: The home at 706 Carew Avenue Orlando, FL 32804 with the MLS Number O5745010 is currently listed at $214,800 and has been on the Orlando market for 164 days. You are viewing the MLS property details of the home for sale at 706 Carew Avenue Orlando, FL 32804, which is located in the Sunshine Gardens subdivision, includes 3 bedrooms and 2 bathrooms, and has approximately 1613 sq.ft. of living area.